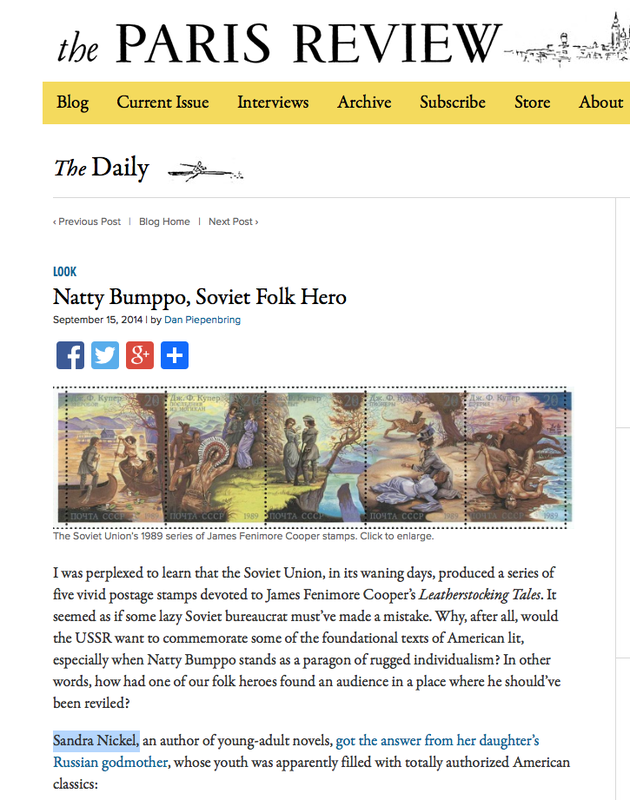 Julie Berry–What Was on Her . . .
Today on What Was on Her . . . The hugely talented, incredibly prolific, and always-on-the-move Julie Berry! 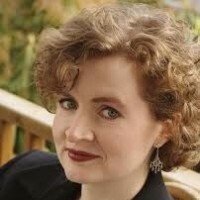 Julie is the author of The Amaranth Enchantment, Secondhand Charm, and the Splurch Academy for Disruptive Boys series. All the Truth That’s in Me, Julie’s first YA novel, has earned five starred reviews and been nominated for the Whitney Award for Young Adult Fiction, the Edgar Award for Young Adult Mystery, and shortlisted for the Carnegie Medal. If that isn’t impressive enough, All the Truth That’s in Me is already slated to be published in 12 international countries and territories and is a Horn Book Fanfare title, a Kirkus Best Teen Book of 2013, a Boston Globe top YA for 2013, and a School Library Journal best of 2013 selection. Julie’s next release, The Scandalous Sisterhood of Prickwhillow Place, is a riotous farce, in which seven proper young ladies attempt to hide the inconvenient poisoning of their headmistress. What else could they do? Otherwise the school would most certainly be shut down and the girls sent home! Julie’s own home in eastern Massachusetts is as different from Prickwillow Place as one could imagine, populated as it is with the five Berry males. But why am I telling you? Far better to hear it from Julie herself. So, here she is with What Was on Julie Berry’s . . .
Netflix queue: Dr. Who! We are all about the Doctor in the Berry home these days. We first started watching it as a family this fall, and we’ve all got the fever pretty bad. Every evening it’s the great motivator for the kids to get their homework done. We’re starting to have lots of Tardis-abilia underfoot. We also love Sherlock and Call the Midwife, but they cannot produce episodes fast enough to suit me. Guilty conscience: Mess, mess, mess. Every room, every closet, every corner and cubby in my house is a colossal mess. The kids are living on bagels, cereal, cheese sticks, and Beefaroni. Books make all of this forgivable, right? Also the ten thousand other businessy-promotional things I’m overdue to take care of, and the seven blog posts I should have posted by now, manuscripts to review, a book I should be writing, and a book I should be outlining. iPod: A course I’ve listened to many times already, which I love, published by The Teaching Company, called “The Terror of History: Mystics, Heretics, and Witches in the Western Tradition,” by Professor Teofilo Ruiz of the UCLA History department. Find it here. 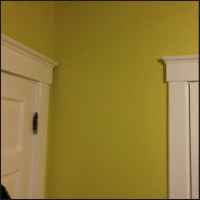 Bedroom walls: A new color, “ripe guava,” which is a sort of yellowish green, and I love it. Mind: Where will I find a dress to wear to the Edgar Awards gala that doesn’t make me feel self-conscious? And if the dress is long, will I trip on it? When I eat the dinner, will I spill something on it? Head: Frizzy reddish hair in need of a style intervention. One son sat next to me on the couch yesterday, peered at me, and said, “What exactly makes hair turn gray?” He’s been disinherited. Writing desk: I have two of them. Both are so buried in clutter that I can’t use them. I sit on the couch, and work from a writing basket. The clutter is mainly mail I haven’t dealt with yet, papers that I should file, and tax-related stuff, which I also haven’t dealt with yet. The office is supposed to be my serene little writing sanctuary, but I guess it reflects its owner pretty well. 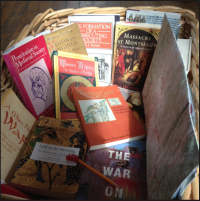 IN her writing basket: Now this gets exciting. I have a map of southern France, a notebook, lots of pens, highlighters, and pencils, including one with a red frog eraser given to me by a fan. There’s also a stack of books that I’ve been reading, all on topics pertaining to history, religion, poetry, and culture in the late Middle Ages in France. This basket is my happy basket right now. Kitchen counter: Lots of dirty dishes. Empty Thai food takeout containers. Spilled maple syrup, jam, and ketchup. Cereal boxes. Cups with the cold dregs of chamomile tea in the bottom. Travel itinerary: Tomorrow I leave for two days in Nantucket to do school assemblies and discussions with students from elementary through high school ages on the island. Later in the month, I travel to Salt Lake City for a conference and for the Whitney Awards gala. A week later, I’m off to NYC for the Edgar Awards, and from there to Springfield, MA for the New England SCBWI conference. Sometime in late May I’m heading to Toulouse, France to research my new project, stopping off in London to meet with readers there as part of the Carnegie Medal shadowing program. Gratitude list: The five Berry boys, one whom I married, and the rest whom we had together. They make me rich in all the things that matter, and none of them minds the vortex of craziness that is their mother (or wife). Many loving friends. Safety, home, food, freedom, faith. The opportunity to write. The VCFA and SCBWI communities that nurture that dream. Release schedule: A new middle grade published by Roaring Brook, releasing this September 23. The Scandalous Sisterhood of Prickwillow Place. Three parts mystery and two parts farce, about a group of extremely audacious finishing school girls in Victorian England. I’m very excited about this one. Wish list: Inspiration to write my current project so it emerges as I envision it; time to rake out the flowerbeds and plant some annuals; lazy days to read the tottering pile of books my prolific author friends keep on releasing; a housecleaning fairy; yoga skills. I am so not flexible. In body, at any rate. And be sure to stop by again on April 20, when Janet Fox, the author of Sirens, Forgiven, and Faithful will be joining us on What Was on Her . . . Tags: All the Truth That's In Me, books, Julie Berry, Sandra Nickel, The Scandalous Sisterhood of Prickwillow Place, The Writer's Life, What Was on Her, What Was on My, Writing. Bookmark the permalink. Call the Midwife is on my list too now, Laurie! What a fun interview! Her work is right up your alley, Sandra! I’m adding All the Truth That’s in Me to my TBR pile and look forward to reading all about the goings-on at Prickwillow Place too. You’re so right, Lyn. Everything Julie writes is everything I love. I loved learning about Julie and can’t wait to read The Scandalous Sisterhood of Prickwillow Place. “Prickwillow.” What a great word and what a great title! Julie, I love your description of your creative life happening in the middle of that swirling tornado of boys! Wow! I can’t wait to read your books, and loved meeting you at Kindling Words. 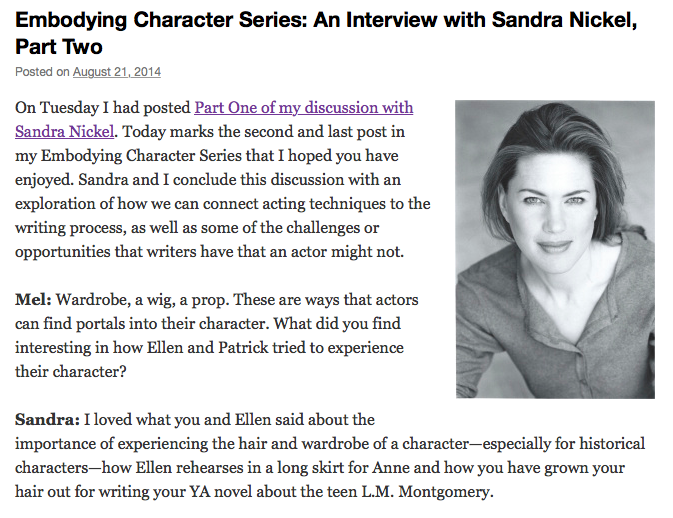 Thanks to Sandra for this wonderful interview! You are so welcome, Kate! Thank you for this fantastic post. I enjoyed meeting Julie last year at the VCFA Novel Retreat. Her lecture that weekend knocked my socks off. It’s lovely to realize that under that gorgeous exterior is a woman who has clutter, who doesn’t always feed her children kale and who feels self-conscious sometimes. In other words, she’s human! Looking forward to more books to come! Wow! I’m hooked on the same shows as Julie! Looking forward to The Scandalous Sisterhood of Prickwhillow Place! Sounds awesome! Loved this interview! What a great family!